Even the best designed and most regularly maintained systems eventually reach end of life. From worn components to growing demands that aging equipment can no longer accommodate, this is an inevitable reality associated with running a municipal water supply. Like all well managed municipalities, Park Forest, Ill., understands this. When systems show their age, villages strive to replace and upgrade that system in a way that will bring the greatest benefit to the community. Metropolitan Industries has been working with the Village of Park Forest on such projects since 2005. Back then, we supplied two new prefab elevated tank water booster systems. Several years later, when the village’s supervisory control and data acquisition (SCADA) system wasn’t performing to their expectations, they knew exactly who to call and we knew they were going to want a complete solution they could count on, from initial design through reliable 24/7 servicing. This time around, we were asked to help replace the aging disinfection building, while also improving the safety and current disinfection system. The desired outcome was to help the municipality transition from chlorine gas to sodium hypochlorite, providing the village with a safer disinfection process for potable water treatment. This change would help keep the surrounding community – including Governors State University and a row of homes that backed up to the area – as safe as possible. 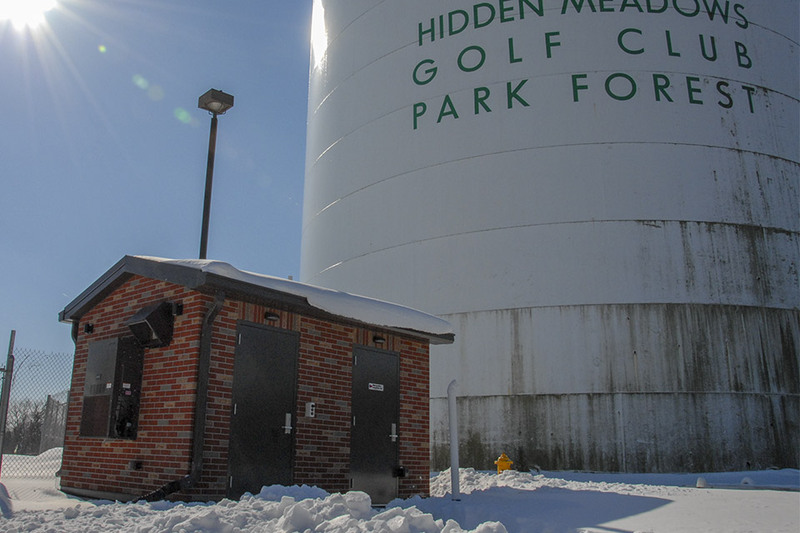 Conveniently, this new method would also provide a cost savings to the village while making the facility easier to service due to the rest of Park Forest operating with sodium hypochlorite. Enjoying the quality of a prefabricated Metropolitan building was basically an added bonus. By prefabricating a wide variety of systems inside Metropolitan’s manufacturing facility – including Park Forest’s two-room building with a separate room to protect the electronics & for convenient operator sampling – we can work to ensure quality and system responsibility. Prefabricated structures manufactured by Metropolitan enables us to maintain the project timeline regardless of external elements including potential site-related delays or weather. This approach also allows us to help decrease overall project costs by minimizing the need for field labor thanks to our easy “plug-and-play” system. That means, after final design approvals, we’re able to build the structure in-house, ship it to the location, and have it up and running in a timely manner. However, on-time delivery is only part of what we offer. Upgrade equipment and the building itself, including the addition of an exhaust fan and a safety release bar on the door, to meet new safety requirements. 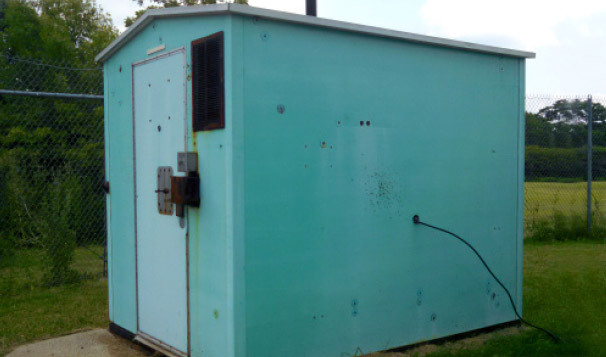 Construct a new sodium hypochlorite system in a new building, making it match the rest of the municipality’s facilities and creating a safer environment for all involved parties. The initial investment required for a brand-new building was more than simply upgrading the existing location, but it was clear that the long-term benefits would be worthwhile. First, the village already produces its own sodium hypochlorite, representing added cost savings for the owner, but now the building will be simplified. “The new facility makes it much easier for my operators,” says Dave Vavrek, Chief Water Plant Operator for the Village of Park Forest. This ease of servicing means that overall costs will be less over time, but that’s also due in part to the support offered by Metropolitan’s experienced team. “I needed to know that I’ve got somebody to rely on for service,” Vavrek notes regarding Metropolitan. “The service end, especially after hours, is extremely valuable.” With a relatively young crew, this service became especially valuable; however, Vavrek knows that his relationship with our team is about more than one single aspect. “When I talk internally about Metropolitan, it’s kind of like I found the one-stop-shop,” Vavrek says while discussing why he turned to us for this project. And honestly, that’s exactly what we always hope to hear. From the quick, one-off projects to the extensive, custom installations, we strive to ensure that we provide everything our customers need from the initial phone call they place to any in-the-field service they may need. That might not be the easiest approach to daily business, but it’s the only way Metropolitan chooses to do business and that’s exactly what our customers deserve. Metropolitan provides custom engineered solutions that accommodate just about any municipal water treatment requirements. Our team of water and wastewater experts would love learn more about your upcoming project.